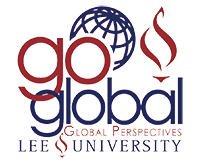 Lee Global Perspectives Trips offer you the best opportunity to actively engage another culture. Participating in a Lee Global Perspectives Trip is by far the most popular option at Lee. Every year, the university offers between 25-30 programs led by our very own faculty who teach classes relative to the location of study. These classes include everything from general requirements, like Humanities in Europe and Spanish in Puerto Rico, to senior level courses, like European Perspectives on Psychology or Parasitology in Guatemala. Plan ahead and you will be able to fulfill your cross-cultural experience requirement while also completing courses required for your major or to fulfill a general core requirement. There are trips that range from 10 days to 3 weeks, or if you are interested in a longer study abroad experience, the UK Semester program based in Cambridge, England allows students to spend the whole spring semester studying and touring in the United Kingdom. Check out the diverse options based on cost, location, term, length of trip, courses offered or see which trips your favorite faculty members are leading. You can contact trip directors personally to ask specific questions about various trips, and the staff at the Global Perspectives Office are always available to point you in the right direction.